We are delighted to be able to offer you this stunning example of a true motorcycle icon. Revisit your youth, take a trip back in time, this bike is wearing its years very well. Timeless design, classic looks and a must have for you collectors out there!! Kawasaki's awesome six cylinder, DOHC, liquid cooled beast. Six owners since being imported from the US in 1993 offered in superb condition. In The 1970's Honda and Benelli already had a six cylinder bike, but the Kawasaki was to introduce something different to the world. 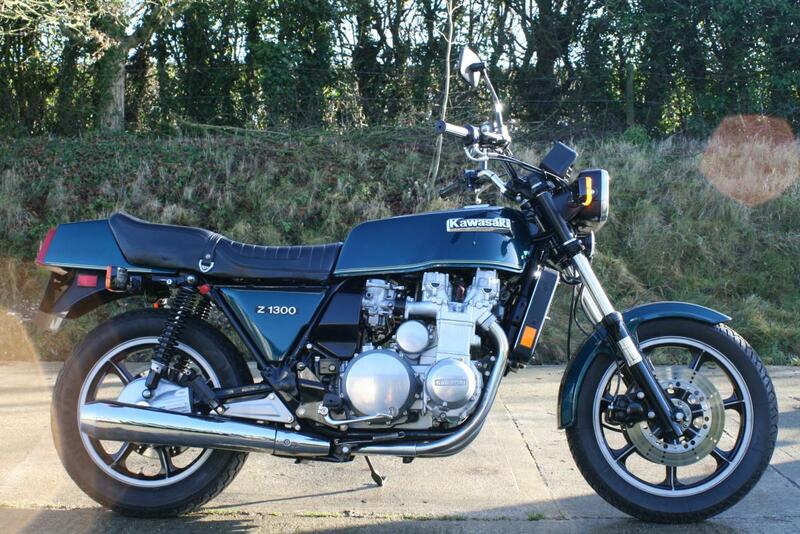 It was a six cylinder motorcycle with water cooling and shaft drive - the ultimate sports tourer. It was certainly isn't for the faint hearted at 294kg and a claimed 120bhp is more than enough to power this bike to over 140mph. The styling is unique and has many admirers all over the world. The 1286cc motor runs very smoothly and was a masterpiece in of design, being both sophisticated and simple to work on. This was truly the "King of the Road" with all the power and the glory! Thanks for looking! !